This smoothie recipe gives you a full serving of clean, lean, protein along with a satisfying combination of tropical fruits. It's quick and easy to prepare and makes for a great meal on the go. 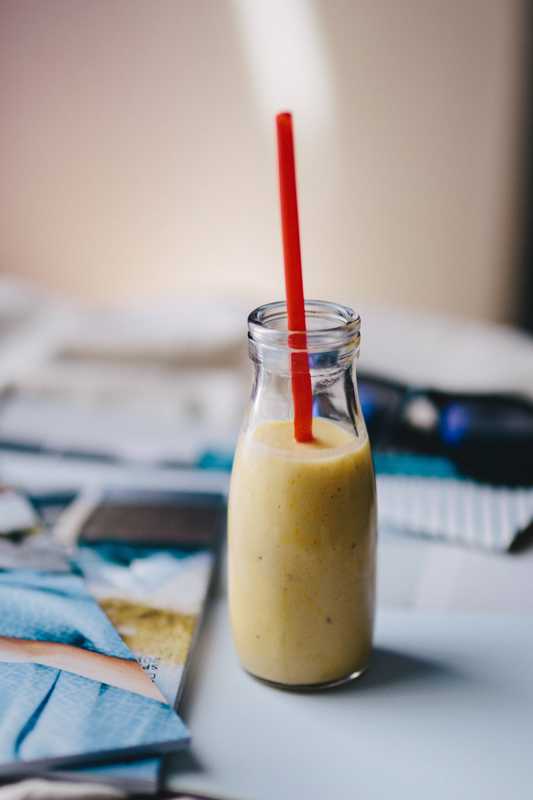 Combine coconut milk, rice milk, juice, and mango in a Vitamix and puree until smooth. Add rice protein powder and puree again until very smooth. Pour into glasses. Garnish with shredded coconut and mint and serve immediately. Per Serving: About 300 calories. Adapted from a recipe by Delicious Living magazine. The gluten-free bread you have always wanted to make – soft and delicious!